Writer Krista Bremer met Ismail fifteen years ago on a North Carolina running trail. A romantic relationship developed through an unexpected pregnancy, eventual marriage, and subsequent spiritual growth. 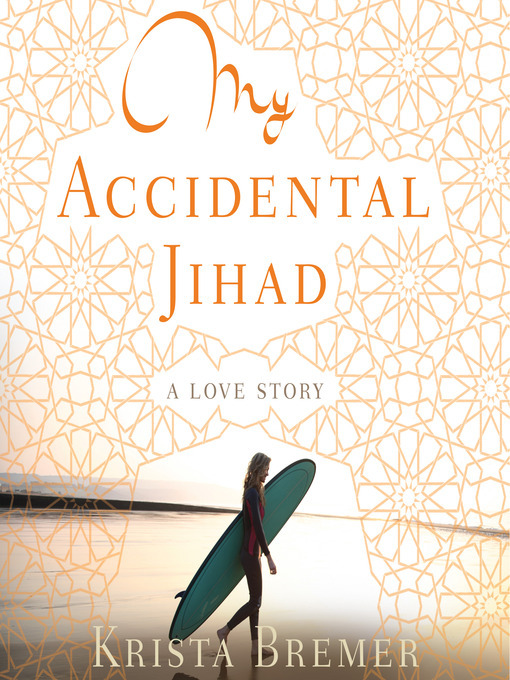 Krista’s recent memoir, My Accidental Jihad, details her jump into the deep space of marriage and an unexpected faith journey. 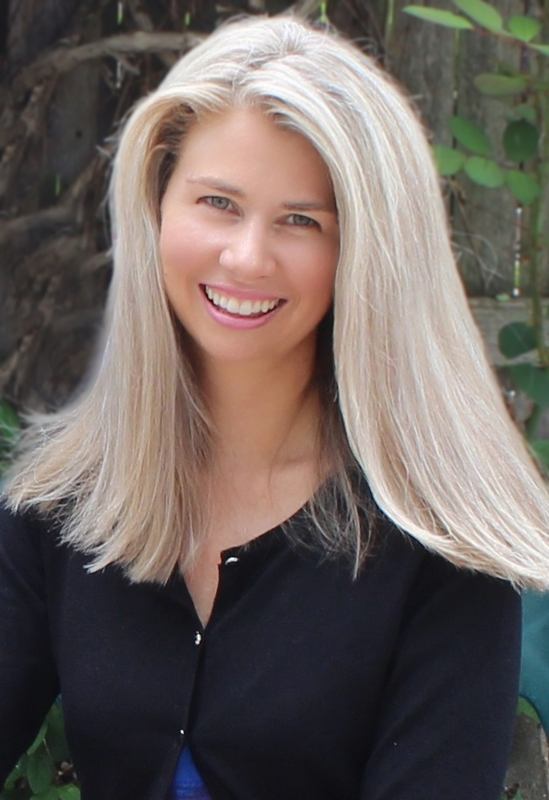 Deonna Kelli Sayed speaks with Krista and Ismail — “Ish” for short — about the bicultural nature of all marriages, Krista’s writing process, and her evolving spiritual journey. 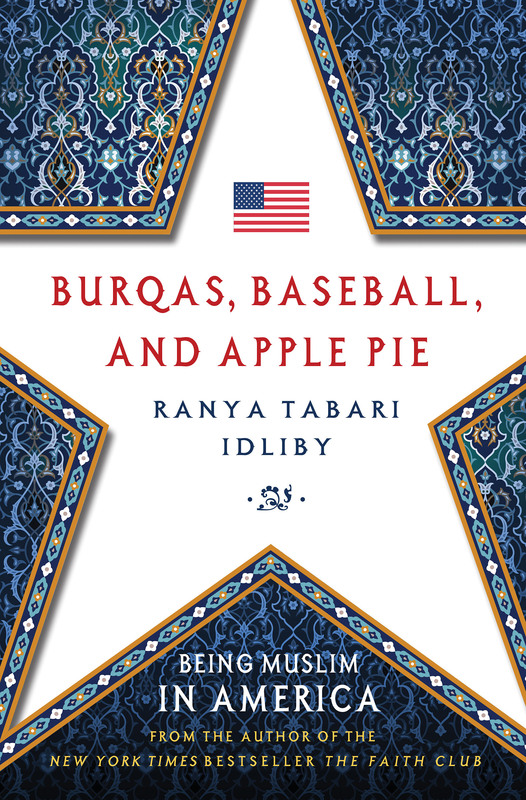 Love, Inshallah presents an author interview podcast with The Faith Club author, Ranya Tabari Idliby, as she discusses her memoir, Burqas, Baseball, and Apple Pie: Being Muslim in America. 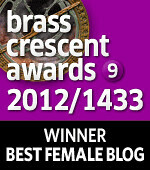 Deonna Kelli Sayed (DKS): This is Deonna Kelli Sayed for Loveinshallah.com. Ranya Tabari Idliby is an American-Muslim writer. You’ve probably heard of her first book, the celebrated The Faith Club: A Muslim, a Christian, a Jew: Three Women Search for Understanding, which featured an interfaith group of female friends promoting common ground after the September 11th attacks. Ranya is an American-Muslim and a New Yorker who has raised her children in the city. Ranya’s second book reveals more of her personal journey. In Burqas, Baseball, and Apple Pie: Being Muslim in America, she focuses on her story as a Palestinian, a Muslim, and a mother negotiating her family’s Islamic identity in celebration of America. 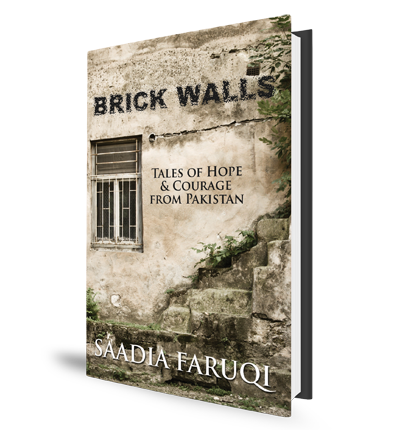 The memoir interweaves the stories of three generations: her father came to America as a Palestinian refugee when he was sixteen years old; the details of her own global childhood as a Palestinian raised in the Gulf states, and the experiences of her two American-born children. Burqas, Baseball, and Apple Pie echoes the sentiments of Loveinshallah – that Muslims in America – and anywhere, for that matter — can own and celebrate personal truths. I spoke with Ranya over Skype, where she revealed that her journey started on September 11, 2001, and why these events became a turning point for Muslims all over the world. Loveinshallah asked Jennifer Zobair, author of Painted Hands, to share insights on her novel, the writing process, and the dynamics of Muslim fiction in contemporary society. 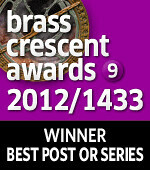 Click here to listen to audio of the author reading a passage from the book. How would you describe Painted Hands to a reader in fifty words or less? Painted Hands is about successful Muslim women in Boston. Zainab is a sharp-tongued campaign strategist with a penchant for generating controversy. Amra is an ambitious attorney. They face difficult choices when relationships with complicated men—including a right-wing radio host—shatter their friendship and the political climate threatens their careers. What made you decide to write the novel? Can you describe your writing process? I wanted to write a novel about the kinds of Muslim women I don’t see often enough in fiction—strong, educated, independent women who, should they need “saving,” are perfectly capable of saving themselves. I also wanted to write about the power (and limitations) of love to overcome differences. I explored the latter both through the lifelong friendship between the secular Zainab and the more traditional Amra, and, of course, through the attraction between Zainab and Chase, the right-wing pundit. DKS: In the 2011 anthology, Love, Inshallah: The Secret Love Lives of American Muslim Women, Melody Moezzi wrote about her struggle with chronic physical illness and how her husband provided love, support, and compassion. 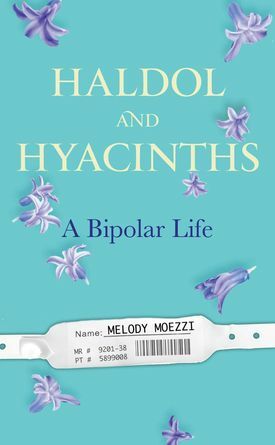 Melody’s latest book-length work, Haldol to Hyacinths: A Bipolar Life, is a deeply personal, often humorous memoir that explores her journey with Bipolar 1 Disorder and how faith, cultural identity, and love illuminates her recovery. A lawyer, award-wining author and an activist, Melody’s identity as an Iranian-American-Muslim woman becomes a metaphor for her struggle to understand her illness, one she shares with approximately 4.4% of American society. I asked her to explain how a highly educated, lucky-in-love, Iranian-American woman decides to reveal a deeply personal story about a misunderstood and often stigmatized diagnosis. Writing about Palestine is hard. To talk about it at all, one has to issue a litany of disclaimers and clarifications before broaching the subject. The discussion finally begins after the audience is already exhausted from listening to all the reasons why support for Palestine doesn’t automatically equal dislike for Israel or disrespect for Jewish history. 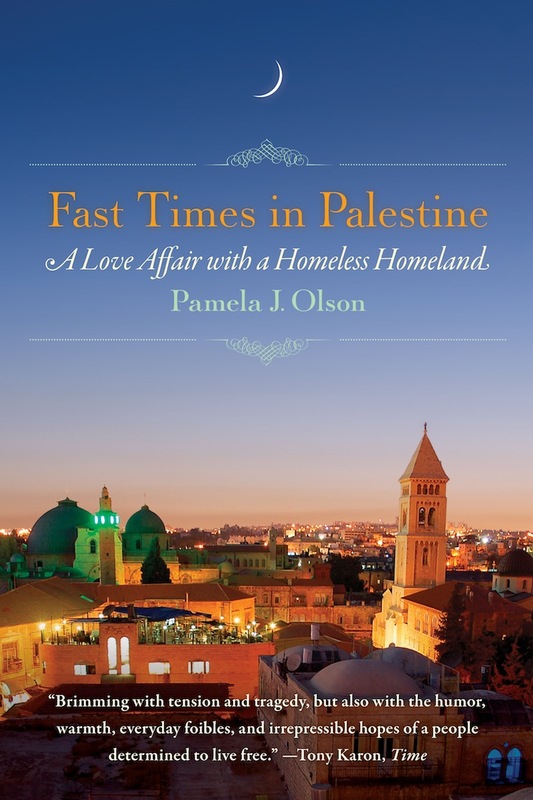 Pamela Olson’s story in Fast Times in Palestine: A Love Affair with a Homeless Homeland (Seal Press, March 2013) seeks an honest, human way around polite prerequisites. She does so through her own transformative journey while living, and later working, in Palestine. The beauty of Olson’s story is that it doesn’t begin with politics. She arrives in Israel at the bequest of an Israeli friend she met while backpacking in Sinai. Olson shows up as a tourist during her transitional, post-college void. Olson, who comes from Oklahoma, was like most Americans: she knew nothing about the conflict and had no real information about Islam and Arabs (or the fact that many Palestinians are Christian). After a day harvesting olives with Palestinians near Jayyous, she witnessed the travesty of confiscated land, aggressive Israeli soldiers, and The Wall – an in-progress physical barrier between Palestine and Israel. “Suddenly, the conflict in this part of the world was no longer a blank horror,” she writes. “It was merely an extremely difficult series of challenges whose basic units were human beings.” Her own personal story is the focus, but her story is comprised of Palestinian and Israeli threads that give human face to both perspectives.